The 3M� DBI-SALA� Tool Cinch - Dual Wing - Heavy Duty Attachment Point features a unique cinch design that allows users to quickly secure even the most difficult to tether tools, and continue their work. Two stabilization wings allow this tool cinch to be secured to a tool with our Quick Wrap Tape. Simply pass the attachment point through a closed handle on a tool, then pass the ring end through he loop end to create a power cinch. 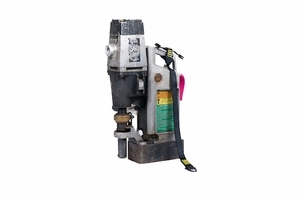 Suitable for many large tools weighing up to 80 lb. (36.3 kg), including magbase drills, rivet busters, and slugging wrenches. Two stabilization wings can be secured to a tool using Quick Wrap Tape to prevent the tool cinch from slipping during use.